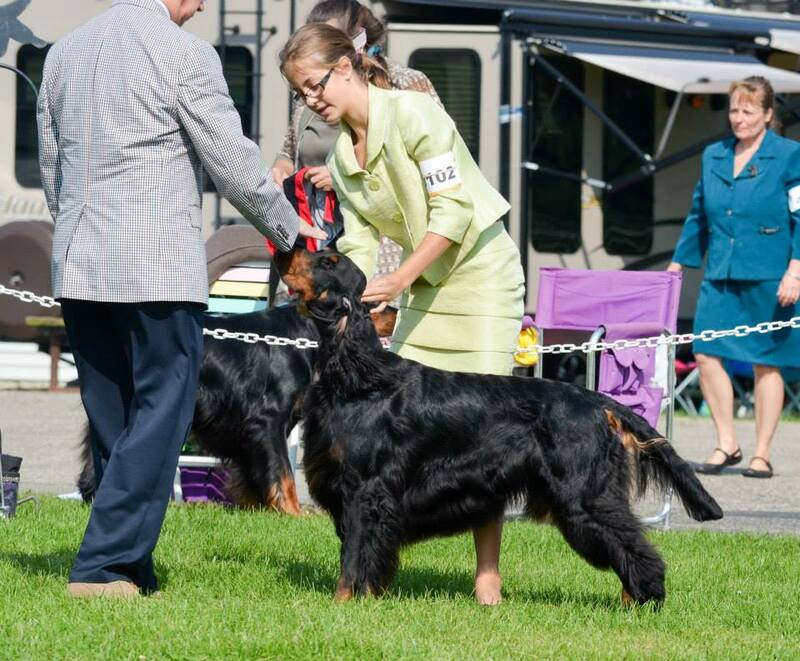 If you want to learn how to present those young Gordon Setter puppies so they remain stacked confidently when the judge approaches for exam, then you need to be certain to read the great tips offered by Peter Frost, Top Dog Handling. Whether you’re dealing with a young puppy or a more mature adult who’s taken on bad habits, Peter’s blog is loaded with wonderful advice for every exhibitor. He is not only making recommendations for helping you fix problems, he’s teaching you how to be inside your Gordon Setter’s head to understand better how to communicate with them on a level they understand and trust. I’m loving his site, especially for helping to mentor the newer folks. Click the title to link directly to Peter’s blog to read Backing away: Why some dogs fear Judges. Previous PostDogs who don’t like the show ringNext PostOMG! There’s a Cat Fight at the Dog Show! I also had one of my females back away from a female judge who appeared to be fearful of our big dogs. I wish that I had read this article before I showed my young (not quite 2) girl. I alerted our judge at the next show to my girl’s potential problem – he was so gentle and calming to her that he help to restore her confidence and I have never had issues since. The judge that caused the shy response stared down each dog directly in the eye as she walked up to them – she must have been conveying her own fear. Beverly Garaux – Thanks. Got it. He is right on target with this. Joan Lake Segal – Interesting how he recommends showing your dogs teeth yourself for 2 reasons: #1 to protect your dog from potential diseases the judge may be carrying from other dogs, and #2 to distract your dog, so that your dog focuses on you and (therefore) not the ‘scary’ judge. Sundance Setters: Has anyone noticed in the photo where the handler has placed her hand while the judge approaches…you must see Peter’s article to understand. Patricia Franklin: Very interesting article. Thanks for all the information you are providing to us. I, for one, am learning a lot. This is a good one. Our young male, now about 2 1/2, has backed away from only one judge, about a year ago. He was an elderly judge who walked stooped over, shuffling along. Not only did our dog back away, he gave a little throaty growl so we excused ourselves. One of our females several years ago backed away from a female judge, and we figured it was because she was literally drenched in perfume – I felt like backing away! There are some good hints in the Top Dog Handling blog!